maybe relaxed is a better way to describe alejandro pena's presence on the mound, but the slow delivery thing came in to play last week when i opened my mailbox and found a sase with an atlanta postmark. inside were four cards that i had sent to pena prior to 2013 spring training. 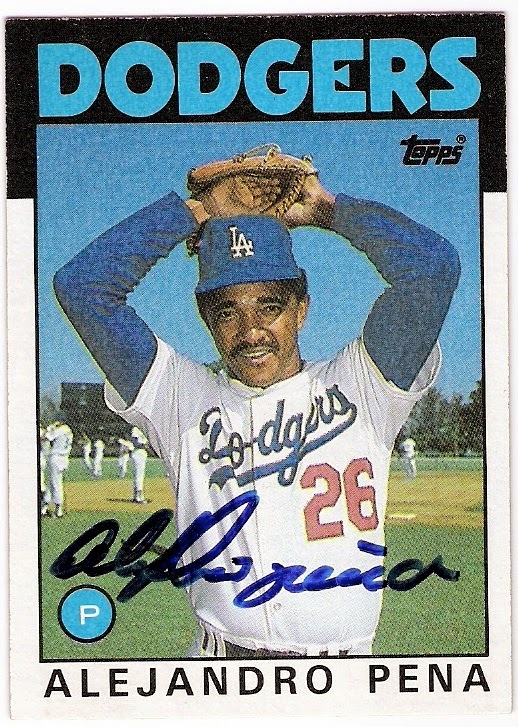 pena is a pitching coach in the dodgers' system, and he spent some time at camelback ranch during spring training back when i mailed the cards. he lives in atlanta, which makes sense considering his two stints with the braves. 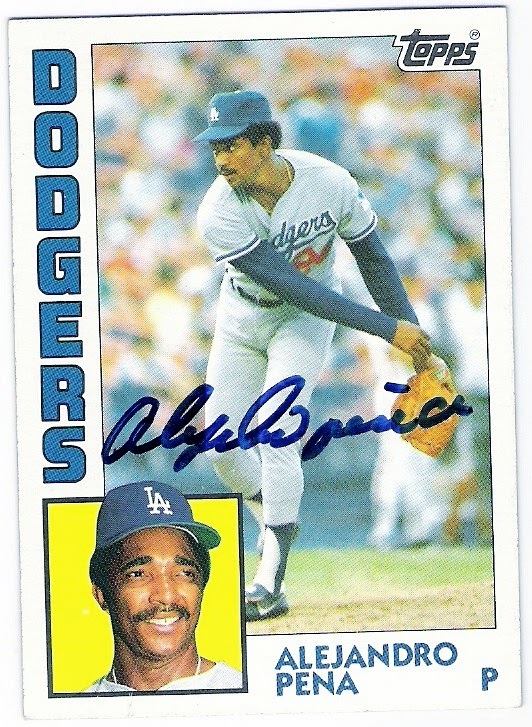 a few things that i recall about pena - first and foremost, he led the national league in era in 1984, but injuries pushed him to the bullpen. 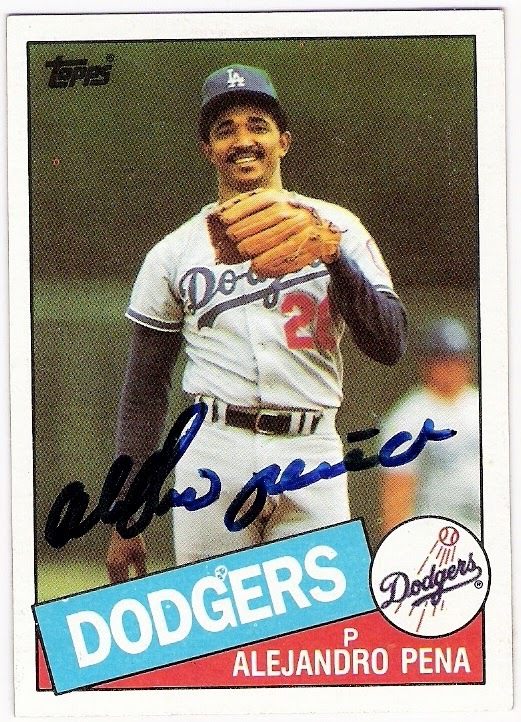 second, he was the winning pitcher in game 1 of the 1988 world series following kirk gibson's walk-off home run in his first world series appearance (pena had been on the dodgers' 1981 postseason staff for the nlcs but didn't pitch in the world series). 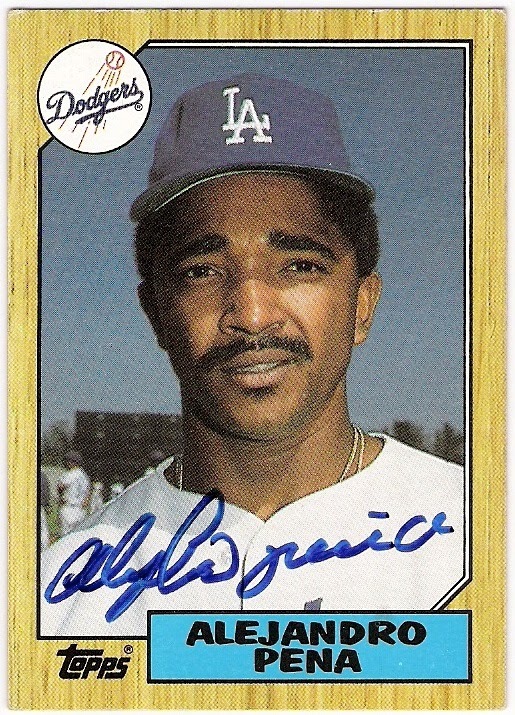 conversely, he was the losing pitcher in game 7 of the 1991 world series after allowing gene larkin's walk-off single. pena did wind up winning a third ring in 1995 as he helped the braves beat the indians in the fall classic that year. i am very happy to have these cards in my collection, and very thankful for forever stamps - thanks alejandro! That is so cool that he signed all 4 and hung onto them for the 2 years.